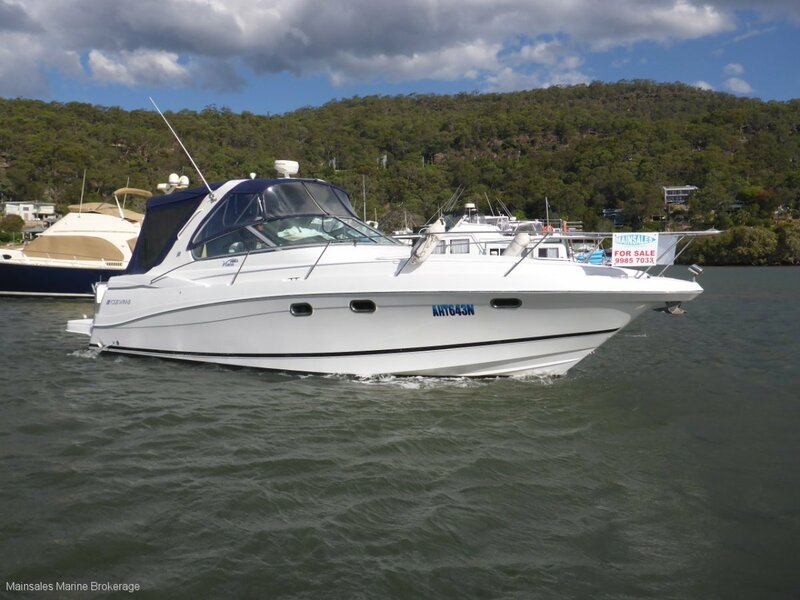 "Safina" is a 2005 model with a great layout and fantastic for entertaining. Twin petrol Mercruisers with shaft drive, yes no legs!!! A very comfortable vessel below decks offering a private foward cabin, a huge lounge area with a well equipped galley. The toilet / shower area is spacious. Equipment includes genset, bow thruster, great electronics, BBQ. Please assist us in helping you. Our vendors are encouraged to use their boats whilst they are for sale. To avoid delays or disappointment please arrange a suitable inspection time with us so we can ensure your visit to Mainsales is productive, thank you. Very well appointed on the port side adjacent to saloon area. In the galleyare twin pigeon pair Novacool, s and also a small Norcold drinks fridge in the cockpit. Yes - Kenyon twin electric elements. Cookout Stainless steel BBQ. Yes - 80L electric as well as engine heated via a heat exchanger. In the forepeak is a double V-berth bed. Amidships below helm is a lounge that electrically folds out to another bed for two. Could also sleep one on the starboard lounge. Yes - Vacuuflush and 170 ltr (approx. ) holding tank. New Start batteries x 2. New House batteries x 2. New battery charger.